Sexual Misconduct and Changing Military Culture | Bonnie Reilly Schmidt, Ph.D. It didn’t take long for the newly elected Liberal minister of defense, Harjit Sanjjin, to immerse himself in controversy over the issue of sexual misconduct in the Canadian military. Last week, Chief of Defense Staff General Jonathan Vance announced that the military was taking steps to change the institution’s sexualized culture through a program called “Operation Honour.” In response, Defense Minister Sanjjin stated publicly that he didn’t believe that the military’s culture leads to sexual misconduct, contradicting Vance and undermining his efforts to implement change. 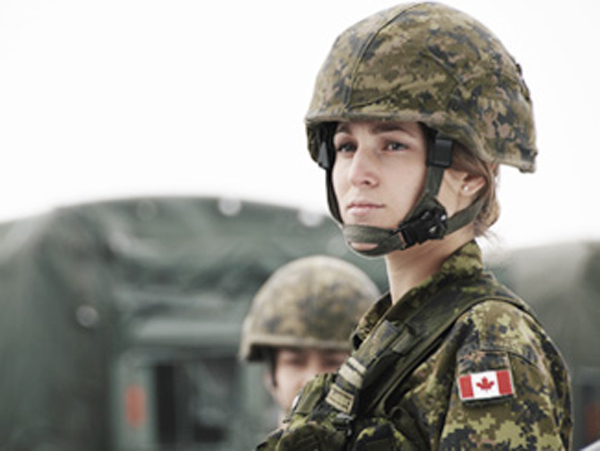 For decades, researchers studying the Canadian military and paramilitary organizations such as the RCMP have pointed to the fact that the culture of these organizations not only creates space for sexual misconduct to occur, but protects offenders when it does take place. A culture that hides human rights abuses allows those violations to develop into an acceptable practice that then become imbedded and systemic within that culture. Why would the minister state that he doesn’t believe that the culture of the military leads to sexual misconduct? He was not forthcoming. But we can speculate about his reasons. Firstly, admitting that the military has a sexualized culture poses a number of problems for the federal government both at home and on the international stage. Internationally, our reputation and image as peacekeepers is tarnished when the rights of a minority group within our own armed forces are regularly violated. At home, the presence of a sexist culture would lead to lower recruitment numbers for women. Canadian women are no longer willing trust an organization incapable of preventing sexual abuse from occurring or protecting them when it does. Potential lawsuits present another challenge, particularly when a government minister admits to the existence of a culture that is harmful to its own employees. Any such admission about the military would likely extend to other federal agencies such as the RCMP, which is already facing legal action over the sexual harassment of female Mounties. Whatever Sanjjin’s reasons, denying that military culture does not lead to sexual misconduct does a disservice to those men and women who have served our country with integrity, honesty, and professionalism. It also castigates those who have suffered physically, emotionally, and mentally at the hands of their peers and minimizes their struggles as they work to move forward. General Vance commented that it will take a long time for real cultural change to happen in the military. But at least he is taking steps to initiate it. Denials from the highest levels of government will only interfere with those attempts. I certainly hope that General Vance’s commitment is sincere. He has a long road ahead of him. http://www.ctvnews.ca/politics/key-points-from-the-deschamps-report-on-sexual-misconduct-in-the-canadian-forces-1.2352469. 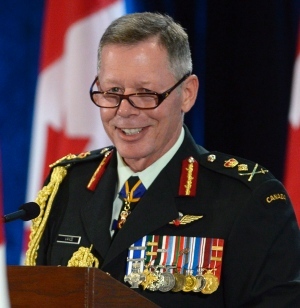 For more on Vance’s viewpoint see http://www.cbc.ca/news/politics/gen-jonathan-vance-says-military-blind-to-or-tone-deaf-to-sexual-misconduct-1.3166615.